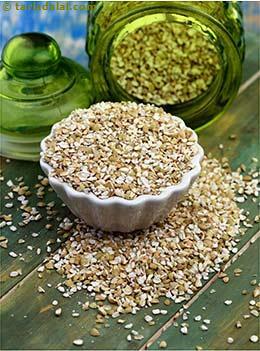 Buckwheat is a small, triangle shaped grain cultivated in India loaded with innumerable amount vitamins and minerals. Thus has lots of proven health benefits. The glycemic index of raw buckwheat is 55 which is relatively on the higher side of the low GI range. This is best understood by the glycemic load (10.7) which is medium and depends on the amount of carbohydrates eaten at a time. Therefore should be consumed cautiously. Is Buckwheat safe for diabetes? The glycemic load of raw buckwheat is 10.7 which is medium. Thus it should be consumed in moderation. Keeping into account the amount of carbohydrate is a crucial part in planning a diet for diabetics. The type of carbohydrates used is equally important, where the complex carbohydrate takes longer time for digestion and increases blood sugar levels gradually as compared to simple carbohydrate. It provides all the amino acids which is building block of proteins. Is Buckwheat suitable for weight loss? Since buckwheat is a whole grain, it provides healthy source of calories. It can be eaten in the form of a khichdi, tossed with salads, porridges, etc. The amount of fiber present in buckwheat helps you keep full for a longer period of time. Thus controls your appetite and helps you cut down on calories.